Excellent news article by Aída Chávez of The Intercept discusses how Senator Bernie Sanders introduced legislation to end money bail on the federal level and create incentives for states to follow suit. According to Chávez , The No Money Bail Act is the latest example of the push from the Democrats to tackle criminal justice reform. It would prohibit money bail in federal criminal cases, provide grants to states that wish to implement alternate pretrial systems, and withhold grant funding from states that continue using cash bail systems. Additionally, the bail reform “requires a study three years after implementation to ensure the new alternate systems are also not leading to disparate detentions rates,” according to a summary of the bill provided by Sanders’s office. Also according to Chávez, the idea of eliminating money bail is controversial, even among Democrats, so it is unlikely that the legislation will soon be enacted into law. Indeed, Rep. Ted Lieu, D-Calif., introduced a similar measure in the House in 2016 and 2017, but his bills gained little traction. Last year, Sens. Kamala Harris, D-Calif., and Rand Paul, R-Ky., introduced a measure to encourage states to reform bail practices, though they did not go as far as calling to eliminate cash bail on the federal level. Still, these efforts represent a growing sense of urgency among lawmakers to address the racial disparities that plague the criminal justice system. Senate Minority Leader Chuck Schumer last month introduced a bill to decriminalize marijuana at the federal level, removing the drug from the Controlled Substances Act. The House passed a tepid prison reform bill that was pushed by President Donald Trump’s son-in-law Jared Kushner in May, and the Senate has introduced similar legislation. For-profit companies are “making a fortune” off indigent defendants, according to the summary of the Sanders bill. 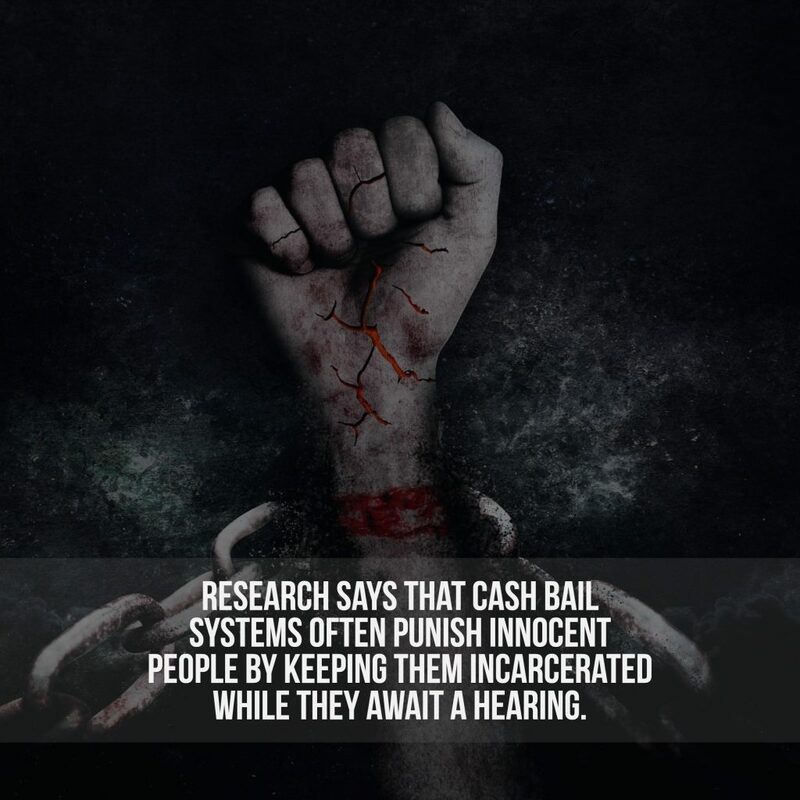 Indeed, the for-profit bail industry makes between $1.4 billion and $2.4 billion a year, the American Civil Liberties Union wrote in a 2017 report. An inability to afford bail leaves defendants across the country languishing in pretrial detention bars for extended periods of time; in 2014, about 60 percent of people in U.S. jails had not been convicted of a crime, the Department of Justice’s Bureau of Justice Statistics reported. State and local governments have made similar efforts in recent years. New Jersey has been at the forefront of the bail reform movement, largely eliminating its cash bail system last year. District attorneys in Brooklyn and Manhattan in January ordered prosecutors not to request bail in most misdemeanor cases. And Philadelphia District Attorney Larry Krasner also fulfilled one of his high-profile campaign promises when he announced an end of cash bail requirements for low-level offenses in February. My opinion? The movement to end cash bail seems to be gaining momentum. If so, it’d eliminate a significant hurdle in gaining justice for defendants facing criminal charges. Excellent article by Denver Pratt of the Bellingham Herald says the American Civil Liberties Union (ACLU) filed a federal civil rights lawsuit Wednesday against the Whatcom County Jail and the Whatcom County Sheriff’s Office for allegedly denying inmates with opioid use disorder access to medication. The lawsuit filed in Seattle in the U.S. District Court for the Western District of Washington alleges the jail’s policy of refusing to provide access to medication assisted treatment to treat opioid addiction violates the Americans with Disabilities Act (ADA). Pratt reports that Opioid Use Disorder is classified as a disability under the ADA, and is also a recognized substance use disorder. A person qualifies as having opioid use disorder if they meet two or more criteria that reflect impaired health function over a 12-month period. The lawsuit alleges that the jail has a policy for giving medication, such as buprenorphine (Suboxone or Subutex), or methadone, to pregnant women suffering from opioid use disorder, but has no policy for non-pregnant individuals, forcing them to go into withdrawal once they’re booked. The lawsuit was brought on behalf of two inmates who were receiving medication assisted treatment before they became incarcerated. However, the ACLU is seeking class-action status for all non-pregnant people incarcerated who have Opioid Use Disorder. Whatcom County Sheriff Bill Elfo said Thursday he believed several other jails in Washington state are under scrutiny by the ACLU for opioid treatment. He said the county had not been served with the lawsuit yet as of Thursday afternoon, but noted the ACLU has 20 days to do so. Elfo said the 2019 opening of a new 32-bed crisis triage center for people suffering from mental health and substance use disorders will provide an alternative to taking people who use opioids to jail, and give them access to treatment. “This is something that’s been asked for for 20 years. I’m glad it’s something that’s finally on the horizon,” he said. The project will expand the current Crisis Triage Center and will be on Division Street in Bellingham. It will cost up to an estimated $9.5 million. First, kudos to Ms. Pratt for her excellent and timely reporting. Second, lawsuits like this reveal the pressing need for Whatcom County to construct a new jail. A larger facility with upgraded services would not only better serve the needs of the incarcerated defendants, but also the jail staff and police officers who work there on a daily basis. I’ve heard the arguments against a new jail. Clearly – and unfortunately – the community has voted down numerous proposals. What most people don’t understand, however, is that the current jail is decrepit, unsafe and virtually inhumane. As a result, we see riots and suicides happen at the jail with unsettling frequency. Good luck to the ACLU. Hopefully, they’ll be instrumental toward making positive changes happen for the inmates and hardworking jail staff here in Whatcom County. 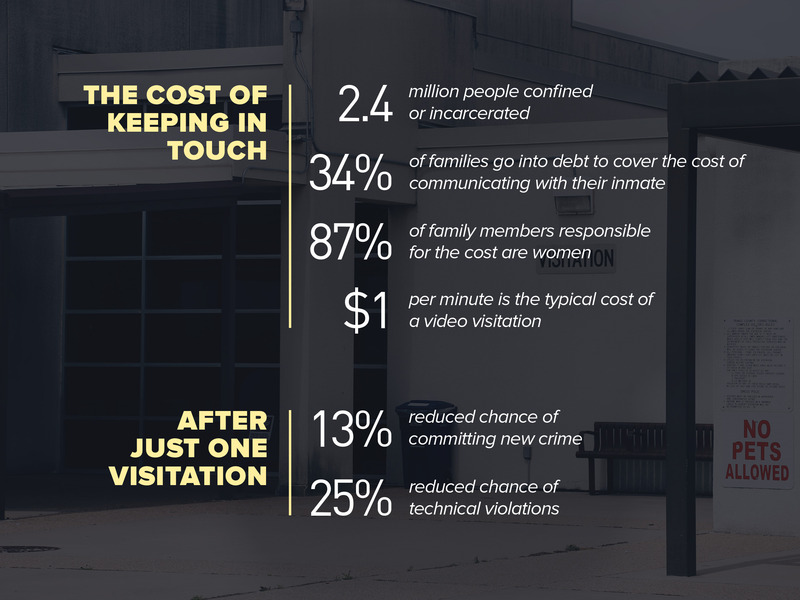 Wonderful article by Brian Alexander of The Atlantic claims that private companies have much to gain from installing and maintaining video technology connecting inmates with visitors. Over the past decade, many prisons have outsourced video chat the systems to private corporations, often as part of a package that includes phone services. As of 2014, according to a report by the nonprofit Prison Policy Initiative, over 500 jails and prisons in 43 states had adopted video visitation. Despite the expense, however, the benefits cannot be ignored. Many visitors may conclude that driving to the jail is a waste of time and gas, and opt to pay. And jailers argue that video visitation has obvious security advantages and improves staff efficiency, as deputies don’t have to remove a prisoner from a housing unit or check visitors in. Reporter Brian Alexander says that inmate-communication services have proven to be a very lucrative business, and expensive phone charges borne by the families of prisoners have stoked controversy for years. In response, the Federal Communications Commission (FCC) capped per-minute rates in 2015. Prison-telecom companies sued. President Trump’s appointee to head the FCC, Ajit Pai, dropped the FCC’s defense of the rate-cap rules, and, in June, a court struck them down. Even so, the phone charges became a scandal and some in Congress vowed to take action. Administrators began to feel queasy about the rates. VIDEO VISITATION NO REPLACEMENT FOR IN-PERSON VISITS. VIDEO CHAT: GOOD OR BAD? Alexander says that even a critic like Hatcher, the author and law professor, believes that video visitation has the potential for good. Such a service can complement in-person visits. It could allow an inmate to see a child’s school performance. It could substitute for an in-person visit when weather makes travel to a jail or prison hazardous. But Hatcher fears that it’s being used to restrict contact and drain money from people who are often already poor. In Mangiaracina v. Penzone, the Ninth Circuit Court of Appeals held that prisoners have a Sixth Amendment right to be present when legal mail related to a criminal matter is inspected. 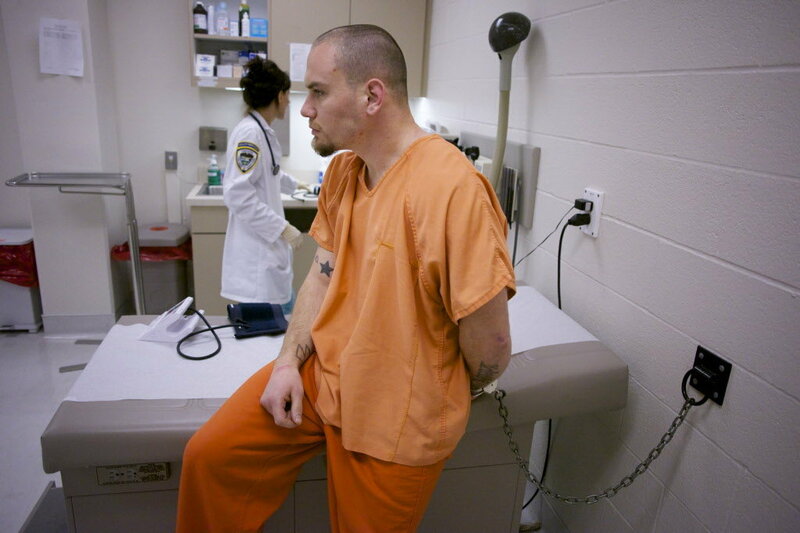 Nick Mangiaracina was jailed as a pre-trial detainee in Maricopa County’s Fourth Avenue Jail in Phoenix, Arizona. 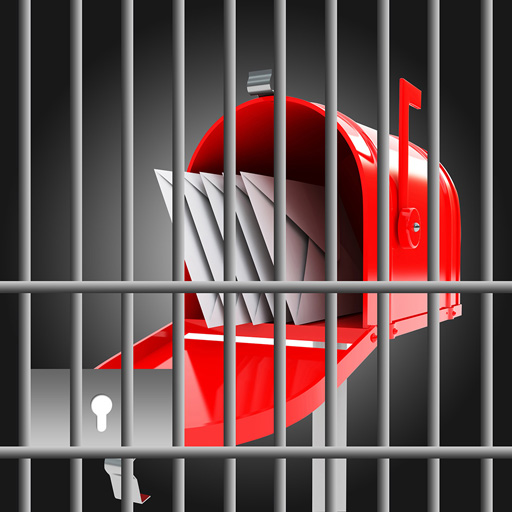 The jail’s stated policy is to open legal mail addressed to a prisoner only in the presence of that prisoner. Mangiaracina alleged, however, that his mail was repeatedly opened outside his presence in contravention of this policy. His complaint included descriptions of nine specific instances of the jail improperly opening his mail to/from his attorney. Mangiaracina initially filed suit in Arizona superior court pursuant to 28 U.S.C. § 1983, alleging violations of his First and Sixth Amendment rights by a number of jail employees and John Doe defendants. The case was moved to federal court. Unfortunately, the U.S. district court ultimately dismissed Mangiaracina’s complaint with prejudice. it noted that Mangiaracina had failed to specifically allege that the pieces of mail were marked as “legal mail” and that, for most of the instances, he failed to explain how he knew the mail was opened outside his presence. He appealed to the Ninth Circuit. The Ninth Circuit reasoned that under the U.S. Supreme Court’s Wolff v. McDonnell and the Ninth Circuit’s Nordstrom v. Ryan, that prisoners have a Sixth Amendment right to confer privately with counsel and that the practice of opening legal mail in the prisoner’s presence is specifically designed to protect that right. Furthermore, other circuit courts have similarly recognized the importance of this practice. In Jones v. Brown, the Third Circuit recognized, in the context of a First Amendment challenge, that opening legal mail outside the addressee’s presence was unlawful. The Ninth Circuit further reasoned that the jail failed to identify any legitimate penological interest that would be served by opening legal mail outside Mangiaracina’s presence: “As we have emphasized in the past, a criminal defendant’s ability to communicate candidly and confidentially with his lawyer is essential to his defense.” By necessity, reasoned the court, prisoners and pre-trial detainees rely heavily on the mail for communication with their attorneys. Unfortunately, the Maricopa County jail system does not allow incoming phone calls or provide access to e-mail, and outgoing phone calls can only be placed as collect calls. With that, the Ninth Circuit reversed the lower court’s dismissal of Mangiaracina’s Sixth Amendment and First Amendment claims with respect to some mail-opening incidents and affirmed the lower court’s dismissal of the remaining counts of alleged improper mail opening. My opinion? Excellent decision. It’s extremely difficult to communicate with jailed clients. Some jails offer limited hours of visitation and/or phone calls. Reading a defendant’s jail mail deprives the expression of confidentiality and chills the inmates’ protected expression. This is wrong, and violates a defendant’s First Amendment rights. With respect to phone calls, I don’t discuss important details over the jail phones because the conversations are recorded. Although recorded phone calls with my clients are inadmissible at trial, these conversations are still surveillance which can “tip off” prosecutors to the strategies and tactics I develop with my clients. Kudos to the Ninth Circuit for a very well-reasoned and substantial decision.